Nestled between Sahyadri ranges and Gangapur lake is Utopia Farmstay. With a sprawling area that houses 10 cottages, a reception and an outdoor dining enclosure, Utopia has been designed to give you a village feel that will detox you from the city life. 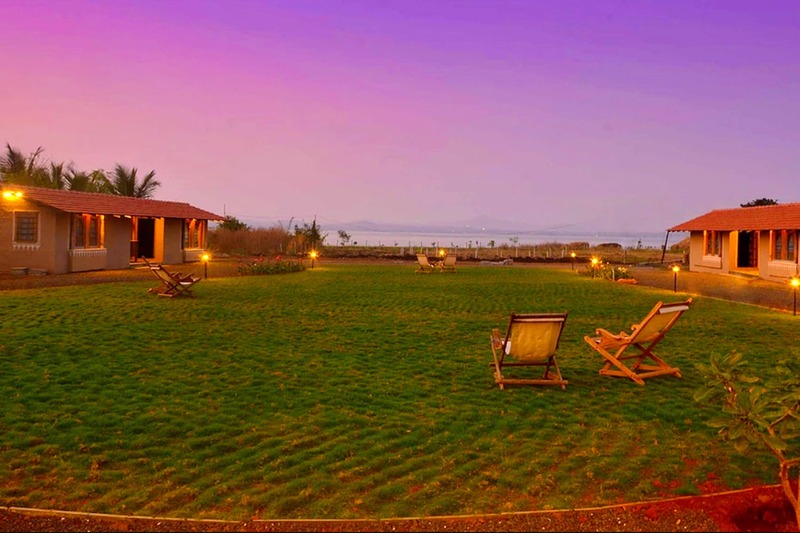 Utopia Farmstay is the brainchild of Uttara and Adwait Kher who moved to Nashik to escape the bustling city of Mumbai. And their love for meeting people and anecdotes encouraged them to set up the farm stay which is designed to relax you. About 170 km from Mumbai, the landmark to reach Utopia Farmstay is York Winery in Nashik. Go down from there till you spot a signage that reads Le Fromage. Take a right on to a mud road and walk till you hit a T-junction and then take a left. The farm stay is a little ahead there. We strongly recommend you call them for directions once there. Each of their cottages is designed using seasoned teak wood. The interiors are meticulously done using Adivasi (tribal) artwork and together it makes for a complete village-feel farm stay for INR 5,000 per night for a double room, which can also accommodate a third person. And the most interesting part of this place? They host weekend workshops which you can sign up for. Their packages generally include stay, all meals, and the workshop, whatever it may be for the weekend. You should definitely keep a tab on their Facebook page for all the updates. And even if they’re not hosting a workshop, Utopia is still be a worthwhile getaway. In times to come, they’re likely to host yoga retreats, wine tours and treks in the adjacent Sahyadri ranges too. If the concrete jungle is driving you nuts, give nature a chance and plan a visit to Utopia Farmstay in Nashik which is your rustic yet comfortable home away from home.